https://s3-ca-central-1.amazonaws.com/media.ogdolls/20181128153810/BD37039A_Lets_hear_It_For_the_Curl-doll-hair-curlers-all-components.png Category: House and Home. Twists and twirls to give your 18-inch dolls curls! Straight or curly, sometimes it’s fun to be just plain girly! 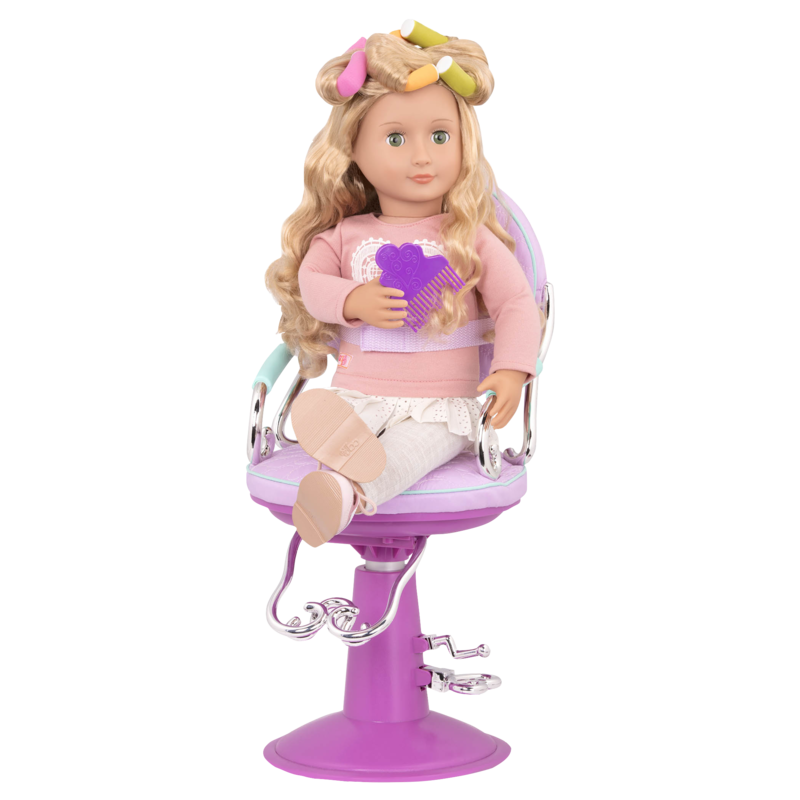 You’ll be rolling in ringlets with the Let’s Hear It for the Curl Hair Styling Accessory Set for 18-inch dolls! Because there has never been a generation of girls quite like us. We’re sisters, cousins, and best friends. We help those less fortunate, dig in the dirt, and build forts that are as big as we can dream them. This is our time. This is our story. Turn straight hair into curly hair easily with this doll hair set! Treat your dolls to a brand-new look with a wavy or curly hairstyle that won’t harm your doll’s hair. 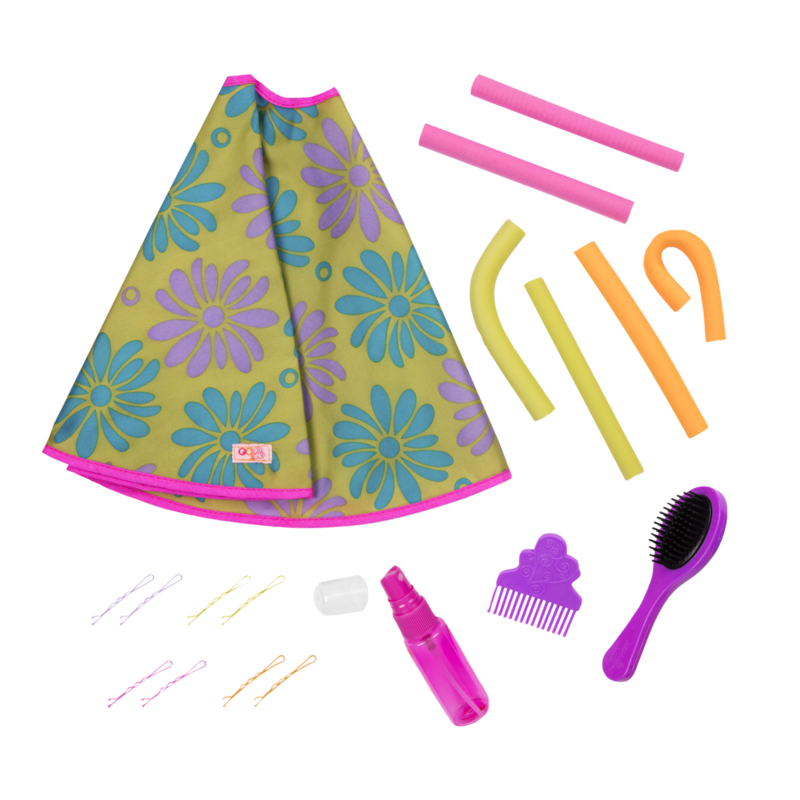 First, set up your doll in the salon cape to keep her outfit clean and dry. Next, use the fine-mist spray bottle to gently dampen a section of your doll’s hair with water. Gently brush the hair section, wrap it around the twisty curler, and secure it with a bobby pin. Let it air dry (please remember to never expose your doll to heat!) and voila – beautiful temporary curls or waves! To undo the curls, simply mist the doll’s hair again with water, brush it straight, and let it air dry. Your 18-inch dolls will love the chance to have a totally different style. 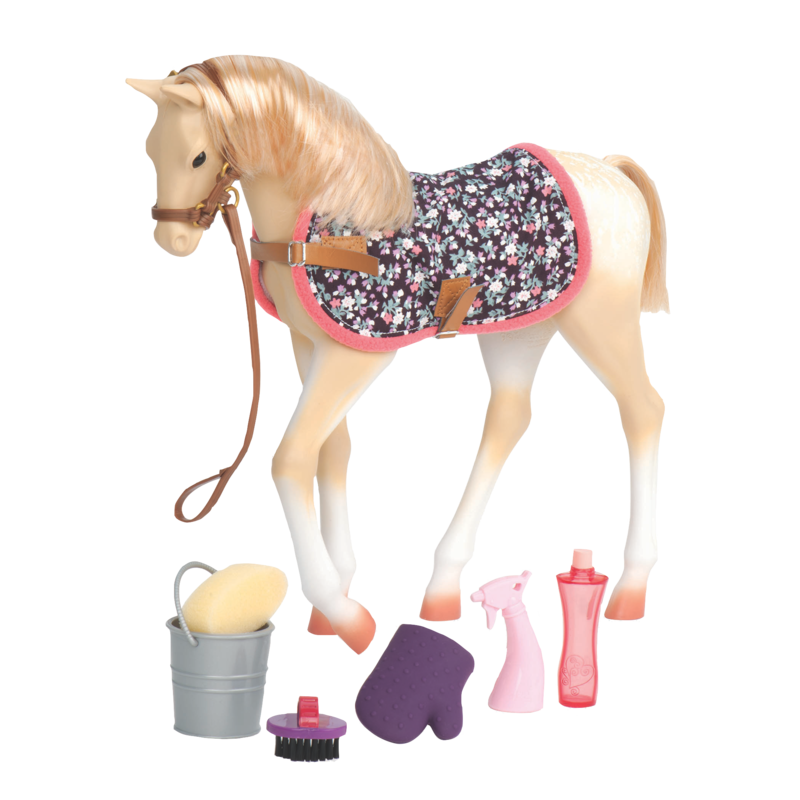 Use the set to refresh curls for dolls who already have curly hair, or get really creative and add some curly locks to your toy horses, too! 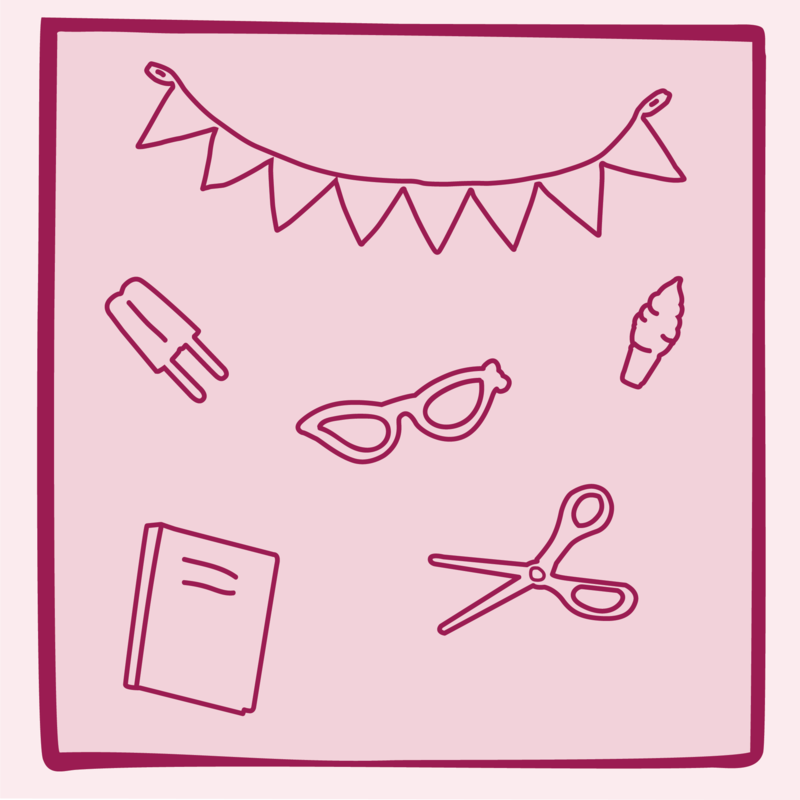 For future fashionistas and current champions of braiding, there is so much to discover in the Our Generation world of imagination and play! There are so many beautiful Our Generation dolls to choose from, and they have all different types of hair. If you really love styling your doll’s hair, why not check out a Hairplay doll like Asako! She has extra-long, super-straight hair that would be really fun to curl with this set! 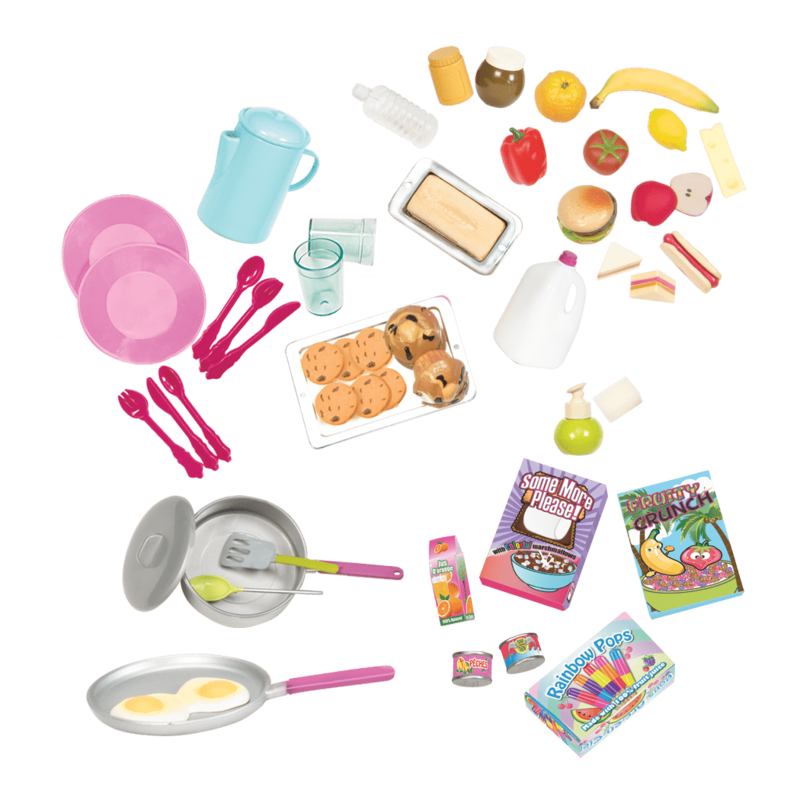 Check out the Berry Nice Salon Set for even more fun doll hair care and salon accessories. Want to make your doll hair salon even more exciting? 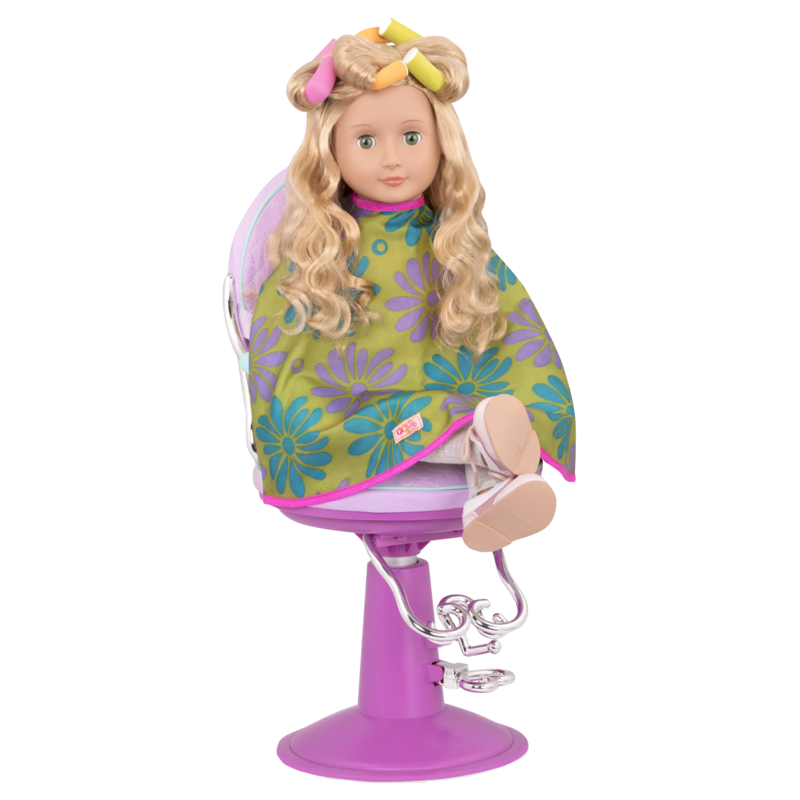 Check out the Sitting Pretty Salon Chair to create the perfect place for your doll hair styling creations! Use with any doll and on kids, too!